Today the Swedish-Finnish headquarters on board the command and support vessel, HMS Carlskrona, starts its participation in Aurora 17 for real. However, the HQ staff have already got their feet under the table, having just finished 10 days on the naval exercise, Northern Coasts. 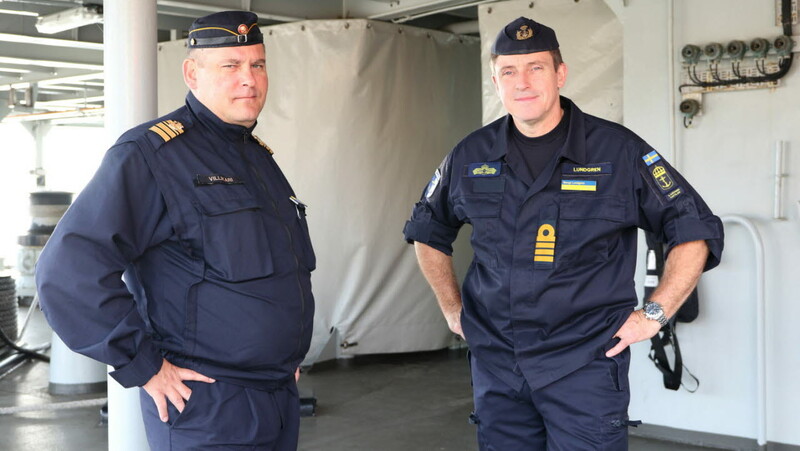 The fact that a Swedish-Finnish HQ is now commanding Swedish maritime forces in the defence of the country makes this a unique occasion. Swedish-Finnish cooperation is well established, particularly on the maritime side. For several years, we have shared information about ship movements in our immediate area, something that is of real benefit every day. Another building block in the cooperation is the formation of the Swedish-Finnish Naval Task Group (SFNTG). During Exercise Northern Coasts, which has just finished, Sweden and Finland worked closely together. – From HMS Carlskrona we have commanded a task group made up of Swedish and Finnish warships, mine clearance vessels and support vessels, explains Bengt Lundgren, Commander SFNTG. – We follow NATO procedures and use English as our working language. The main difference between the two exercises is our rules of engagement. Northern Coasts was a crisis management exercise in an area of unrest, whereas Aurora 17 involves more warlike conditions where Sweden is under attack. The participation of the SFNTG HQ in Aurora 17 is important and will further develop cooperation between the two countries. However, the work does not end there. In the future there are plans for combined maritime surveillance operations, meaning cooperation on an everyday basis. In the long term, the force will reach full operational capability in 2023. However, the next item on the agenda is Exercise Aurora 17, where Sweden must be defended. It is happening here and now, and in cooperation with Finland. A single nation’s armed forces cannot do everything, but together we reinforce and complement each other.